CENTRAL IDAHO, United States - Aptly known as the “Whitewater State,” Idaho boasts more navigable river miles than any other in the U.S. not to mention a profusion of pristine alpine lakes — all swathed in a tapestry of national forests (Boise, Sawtooth and Salmon-Challis), dramatic mountains, and deep gorges. Central Idaho, in particular, offers up the highest concentration of these goods. For these qualities — its rivers, lakes, mountains and unspoiled natural character — this picturesque, Rocky-Mountain state is a veritable Stand Up Paddling wonderland. Starting out as a trickle near Galena Summit in the Sawtooth Range, the Salmon River runs free for 425-miles through Central Idaho before its confluence with the Snake River, making it the longest free-flowing river in the continental United States. What’s great is that the Lion’s Share of this river is SUP’able, with numerous sections to focus in on depending on the length, challenge level and relative location/surroundings of the desired trip. Although most famous (or infamous) in the paddling community for its steep and challenging North Fork kayak and raft run, for nearby Kelly’s Whitewater Park or else for its Payette River Games event, the Payette River near Banks, Idaho is a great destination for mild-to-moderate stand up paddling, ranging from Class I to Class III rapids. Warm water and higher volume mean you won’t be clattering and chattering your way down, and road access makes it easy to adjust trip length on the fly. Plus, it’s just plain beautiful there. With over 300 alpine lakes in the National Recreation Area (NRA) alone, not to mention nearby rivers, the Sawtooth National Recreation Area, located northwest of Sun Valley, is a uniquely and dramatically scenic spot with great options for stand up paddling. In addition to offering the largest variety of SUP rental shops, groups and classes, Boise also has a variety of locations in the surrounding area for stand up paddling. Whether one of the many local reservoirs, the Boise Whitewater Park or one of the local rivers mentioned in the article, Boise provides a great base for SUP’ers. Located just 90 miles north of Boise, McCall, Idaho is a resort town and outdoor recreation hub that serves as a great base for stand up paddling activities (not to mention being one heck of a fun place to spend time once the paddling day is over). Sprawling out from the town of McCall is scenic Lake Payette, bounded on all sides by the ridged swells of Payette National Forest. While McCall is best known as a destination for alpine skiing in Winter months, there has been a stand up paddling boom in recent years and there are now many rental options as well as locally guided SUP fitness, pilates and yoga classes on Payette lake. 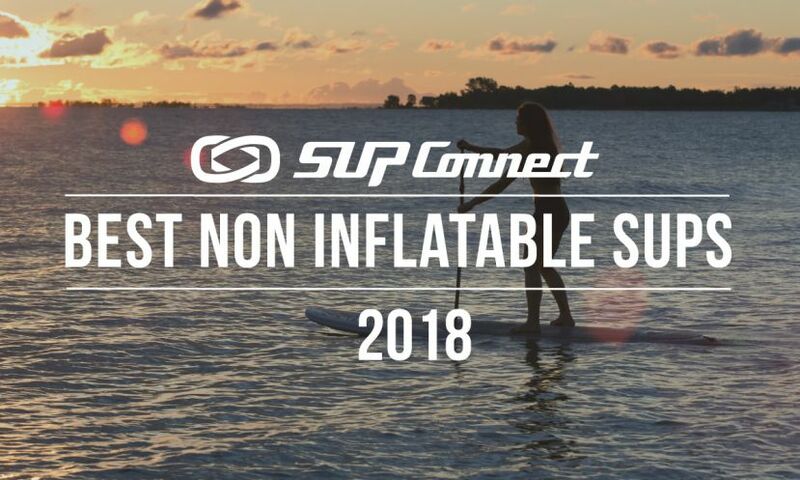 See more SUP Destinations HERE. The “Riggins Section” of the Salmon is best for half-day to one-day outings, with a broad spectrum of adventure level to choose from. The water is warm and ideal for swimming, and the section is centrally located to town which means short commutes to both the put-in and takeout. For calmer, scenic SUP-scursions, head north along the river from Riggins toward Whitebird. Put in at Lucille and float down as far as Hammer Creek Boat Landing. Access is easy in this section, making it simple to customize your float length. For the more adventurous paddler, head south then east out of Riggins up the River road to put in at Shorts Bar (or else head farther upstream to Spring Bar to warm up in some calmer water). As opposed to the section from Lucille to Hammer Creek, this stretch of the Riggins Section offers up thrilling class III-IV rapids. The Lower Salmon River in Idaho is the ideal stand up paddle river and arguably the best multi-day stand up paddle river. It’s a large volume river with big rolling waves and rapids that are not terribly technical, making it ideal for SUP’s. The water is warm, scenery spectacular and the camping experience un-matched. The river is pool-drop, which is perfect for SUP’s as you have the chance to recover at the bottom of every roller coaster rapid. What is especially great about the Lower Salmon is that it’s perfect for both beginner and advanced paddlers. Most rapids have options to just “get down” as well as options for catching eddies, surfing, and taking more challenging lines. Hence the skilled, whitewater SUP-star will have a blast cleaning the harder moves while the newbie will love just staying on the board and enjoying the dramatic canyons. Just half an hour drive from McCall, Kelly’s Whitewater Park is an ideal place for stand up paddlers looking to hone their skills and practice tricks. Since opening in 2010, the park has played host to 2 National Kayak Championships as well as the Payette River Games, and it has gained an ardent following among paddle boarders and river surfers. Nestled in the heart of the Sawtooth Mountains at 6,550 ft., Redfish Lake boasts sparklingly clear water, idyllic sandy beaches and hidden bays and inlets all against the backdrop of the majestic and imposing Sawtooth range. Take a short drive (15 miles) to nearby Stanley, Idaho for sundries and suds. Idaho on the whole enjoys a four-season climate. However, for stand up paddling purposes, much of the year is too inclement (cold) for enjoyable paddling, with many rivers and lakes freezing over in the wintertime. As such, the best time to visit Idaho for stand up paddling is Summer, when average statewide daytime temperatures range between 80 and 90 degrees Fahrenheit, or else in early fall, when blue skies, changing leaves and refreshingly cool temperatures (mid to upper 60’s) prevail. While locations for great stand up paddle boarding abound in Idaho, the best areas to connect are in Boise, McCall, or through a locally operating guided service. In Boise, paddlers connect at the Boise River Park or the adjacent Idaho paddle boarding and SUP Center at Idaho River Sports in Boise, which is emerging as one of the top paddle boarding facilities in the Rockies. In McCall, you can rent a SUP board and find out how to connect with other paddlers at Hometown Sports. Across Idaho, SUP’ers connect with each other for trips, beta and discussion through the Idaho Canoe & Kayak Club. For those looking for a more guided and instructional SUP experience, Orange Torpedo Trips offers 1-day guided SUP trips on the Payette River near Banks, Idaho as well as 4-day raft and kayak supported SUP trips on the Lower Salmon. For more details on their SUP trips and locations, visit their website HERE. To find more SUP destinations to explore Click HERE. Aaron Lieberman lives in Melin, Oregon, where he works as Operations Mangaer of Orange Torpedo Trips - a guided rafting and kayaking and SUP outfitter running trips in Oregon, California, Idaho and abroad. In his free time, Aaron does his best to get on the river. While stand up paddle boarding is a relatively new activity to him, he’s found a passion for SUP and is charging hard.